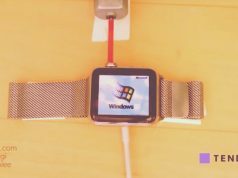 Nowadays, more and more countries and regions started using Apple Pay to complete commodity trading, Apple Watch as a pioneer of the intelligent wearable devices is undoubtedly to support this pay feature. In addition, Apple Pay also works on the iPhone 6 / 6s and 6 / 6s Plus with an NFC chip, but not included in other older iPhones. Today, Apple Pay officially available in China market, as long as you’re within China and have a credit or debit card from a supported bank, you can start using Apple Pay on your Apple Watch right now. Here’s everything you need to know! Open the Apple Watch app on your iPhone, scroll down and tap on “Passbook & Apple Pay,” then select “Add Credit or Debit Card” to connect your card. 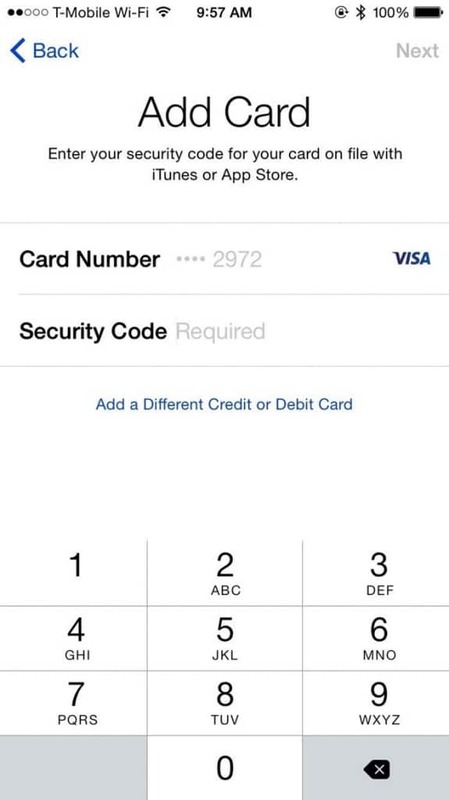 If your card is already set up with Apple Pay on your iPhone, the Apple Watch app will ask you to only enter the security code on the back of your card. If you’ve never set up your card with Apple Pay, you’ll need to enter all of your card, billing, and shipping information. Once your card is added, you’ll need to choose a way to verify it; you can choose a text message, email, or call your bank. The text message option didn’t work for me, but the email option worked just fine. Once verified, you’ll receive a notification with your activation code. 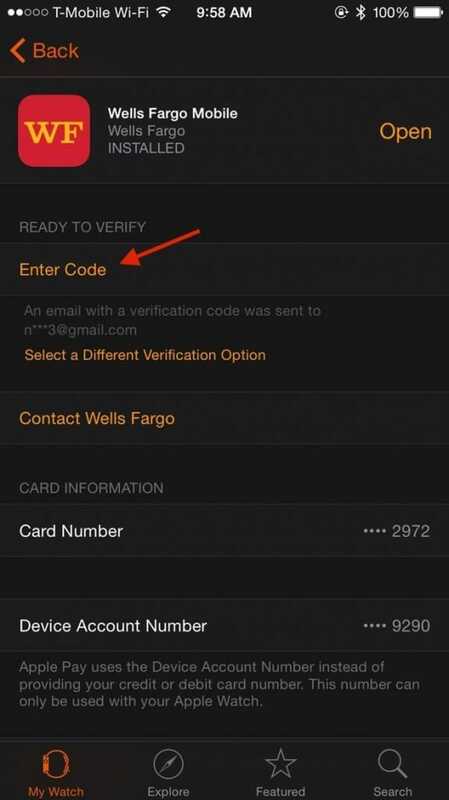 Enter your code into “Ready to Verify” and your card will be ready for use with Apple Pay. Once you’ve set up Apple Pay and chosen your default card, it’s time to use it! It’s as simple as a few button presses and waiving your wrist. 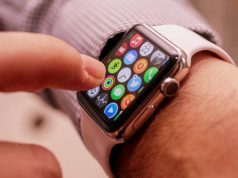 On the Apple Watch just approach the contactless receiver – be it at a store front counter or a London Underground barrier – and double tap the side button (the one used to summon your contacts). A picture of your card will appear, and it’s ready to go. 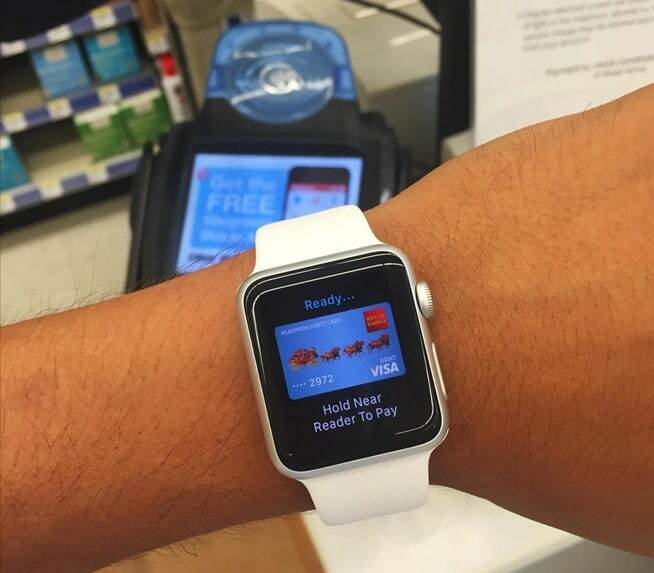 Just hold your Apple Watch to the card reader and wait a few seconds. The seconds can go mysteriously slowly when you’re at the front of the queue, but in a few moments it should be recognised. 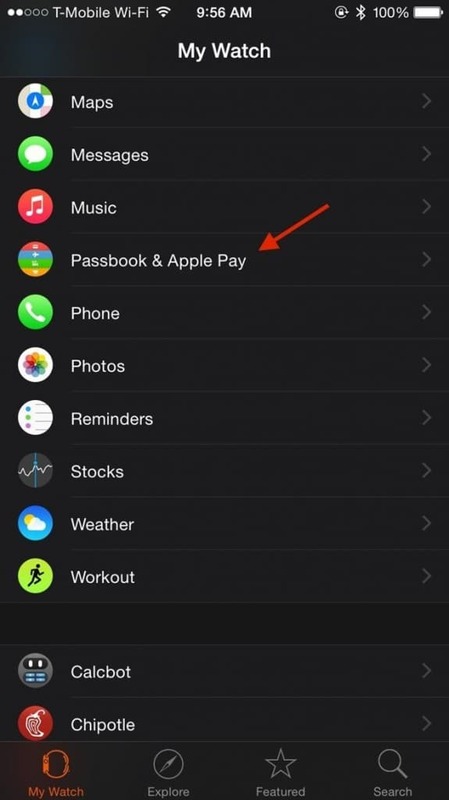 For iPhone users, the NFC chip should fire up the Passbook app when it’s close to the contactless reader. Just keep your finger – one registered for Touch ID – held to the button and then hold against the reader to make the payment. Whether your credit or debit card has expired or you just don’t use a specific card anymore, you can remove credit cards from Apple Pay through the app on Apple Watch. Tap to select the card, then firm press to delete it from the list. You can also remove a card using the Apple Watch app on the iPhone. 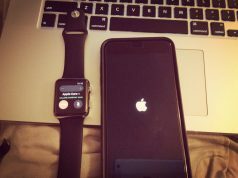 If you ever lost your watch, you can de-authorize Apple Pay for that device remotely through iCloud or on your iPhone, and the watch will no longer be able to buy anything. Since the virtual credit card number is de-authorized, the Apple Watch can even be offline and still be cut off from making payments. Obviously, if this were to happen to you, we’d still advise keeping an eye on your credit card statements to be safe.